Lock in a great price for AluaSoul Palma Hotel Adults Only – rated 8.4 by recent guests! Good wifi in all area, quite good breakfast and very comfortable bed. What is the most important for me. The bed was very comfortable and the food was delicious. There was a lot of variety which was nice. The staff was also very friendly and helpful. The location was great. Quiet, sort of at the edge of the tourist area in almost a residential area. Yet not to far of a walk to the boardwalk and the life of the area. The hotel met our expectations and much more, it was excellent value for money, great location an fantastic food, we were B&B but we had a snack by the bar which was lovely, very impressed with the honey at breakfast, would definitely return and recommend. Buffet style breakfast and dinner with an excellent choice of food for all. Comfortable seating areas both inside and out. Best location in Can Pastilla. Nice facilities. Get the room with the sea view, worth the value. The buffet breakfast and dinner was the best part. AluaSoul Palma Hotel Adults Only This rating is a reflection of how the property compares to the industry standard when it comes to price, facilities and services available. It's based on a self-evaluation by the property. Use this rating to help choose your stay! The adults-only Alua Soul Palma in Can Pastilla is located on Cala Estancia Beach in Mallorca’s Palma Bay. Each air-conditioned room includes a balcony, flat-screen TV, free Wi-Fi and a pillow menu. Alua Soul Palma features a seasonal outdoor swimming pool and sun terrace. 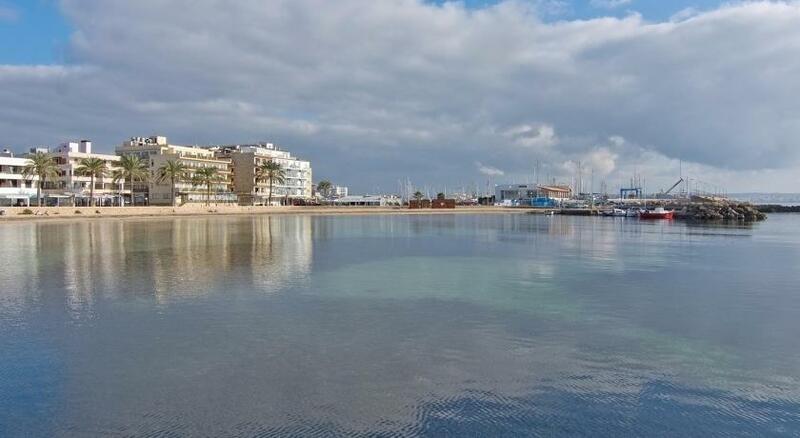 There are wonderful views of Palma Bay and the Mediterranean Sea. Alua Soul Palma Can Pastilla is located less than 1.2 mi from Palma de Mallorca Airport and around 5 mi from Palma city center. Free parking can be found near the hotel, and public busses stop nearby. When would you like to stay at AluaSoul Palma Hotel Adults Only? This stylish air-conditioned room includes a balcony, flat-screen satellite TV, free Wi-Fi and a pillow menu. The bathroom includes a hairdryer and slippers. This stylish air-conditioned room includes a balcony with views of the pool. It features flat-screen satellite TV, free Wi-Fi and a pillow menu. The bathroom includes a hairdryer and slippers. This stylish air-conditioned room includes a balcony with views of the sea. It features flat-screen satellite TV, free Wi-Fi and a pillow menu. The bathroom includes a hairdryer and slippers. 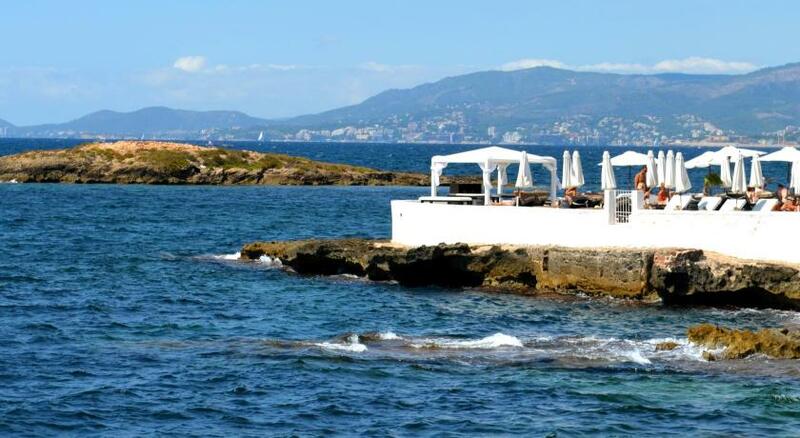 This unique boutique hotel is an exclusive beachfront accommodation for adults only, overlooking the bay of Palma de Mallorca , close to the city center (8 Kms) and at just 2 kms for the airport. A place to get lost and relax, ideal for couples or business trips. House Rules AluaSoul Palma Hotel Adults Only takes special requests – add in the next step! AluaSoul Palma Hotel Adults Only accepts these cards and reserves the right to temporarily hold an amount prior to arrival. Please note that the outdoor swimming pool is open from April until October. Gym facilities a little poor, only 3 and they did not work. Full of old people. Beware if you black, you get stared 😳 👀 at a lot. the beds were terrible! we had to change 3 rooms in 4 days! The staff overall a 10èr. Came too late for dinner-buffet, the cook maid me a dish. I thought there were some noise in my room, they changed it promtly, bravo. I have tryed some of the god hotels nearby, -Alua has in my opinon the best location, and a svimmingpool overlooking the see. Brilliant stay. Hotel is great and the staff members I came across where all very friendly and helpful. Location is really good too. Close to the airport. A bit far from the city (10 minutes by car). But close to the airport. Splendid service and staff, pillow menu, great breakfast, comfy rooms. Sea promenade for jogging and free parking on the streets close by. Jacuzzi was a bit cold. Gym/spa area very small otherwise nothing. Great location. Very clean. Breakfast was buffet style & huge. We were spoilt for choice. Delicious. Would definitely stay again.